silver strands: giveaway CUZ we did it! giveaway CUZ we did it! And that means a giveaway for you, my faithful friends. Because, how can one possibly pamper oneself without chocolate?!? Did you know I have been a TV show host? It's totally and completely FUN. It's one of my passions.So I'm excited about auditioning to host a show on Oprah's new network. Wanna take a look and vote for me? You know I'd LOVE your votes! WOWIE - that's lots of opportunities to win this totally pampering giveaway! Lots of hugs to all of you. How fun that you have a tv show! I bet you have fun with the human interest stories in Las Vegas. What an exciting life you have! Denalee, I've just watched your Oprah entry (and voted!). All the best, it's great! Chocolate - yum! Now I will have to check out the show and vote for you! Wishing you a wonderful weekend! I am so happy that you reached your goal.....Well you know I am a follower and I am off to vote and of course I will post about this on my Blog!!! You are so beautiful!!!! Wishing you a great weekend!!!! 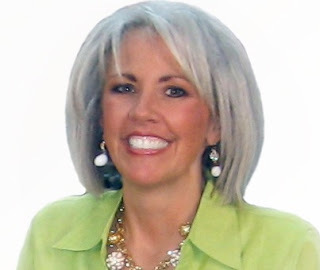 Hi Silver Strands, love your blog and your interesting posting. And I regret read of your mom and her health problems. By the way, looking at your lovely pic, please allow me to add, if you were to hold a bouquet of a dozen red roses in front of your mirror, you will see 13. Have a nice day and keep a song in your heart, Lee. Deanlee, what a wonderful story. I am so excited about your show. By the way your image is beautiful, I am slowly growing my hair back with its natural silver after losing much of it! I am following as well! You're looking great, Denalee! I'm glad your hair is growing so fast, but it might be nice if you could experience a little of what I live with . . . the totally straight hair! LOL Just kidding! Can't wait to see you next week! Have a wonderful weekend my dear! I simply love you and your blog. Great giveaway lady! yeah...it's a giveaway...please enter me! i'm leaving a comment, see, here I am typing away! i love your personality..it shines through in everything you do! and I hope you do well with the Oprah endeavours! and this is me leaving another comment for yet another entry, because I'm one of your followers! We voted for you, good luck! i don't know how you found me on my blog, but i'm glad you did! how inspiring you are....i'm glad to be able to see a bit into your life too! Thank you for stopping by my blog, and for your nice comment! What a wonderful blog you have...I'm a follower! Nice post i like it, keep blogging and If you want too, kindly and please visit my blog http://jabrasr.blogspot.com/ thank you in advance. Congratulations on so many followers - I'm one! Denalee, I have to say you are one of the most amazing people I know!! I can't say I am surprised that you would do this but so touched and honored to be related to you. What you have done for your mom is truly unconditional love!! Loved your audition Denalee. Hope you get it. You would do awsome. Give your mom a hug for me! was just a stalker, now I am a follower!